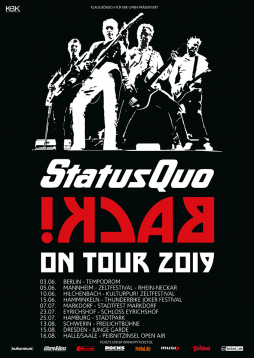 Main Setlist 2019: Caroline, Somethin' Bout You Baby I Like (with Rhino voc), Rain (Rhino voc), Little Lady (Richie voc), Softer Ride, Beginning of the End, Hold You Back, QUO Medley incl. 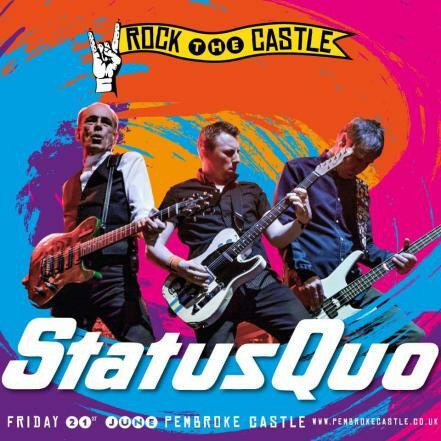 What You're Proposin' / Down The Dustpipe / Wild Side of life / Railroad / Again and Again (Rhino voc) / Paper Plane, The Oriental, Creepin' Up On You, Don't Drive My Car (Andy voc), In The Army Now, Roll over lay Down, Down Down, Whatever You Want (Andy voc), Rockin'all over the World, Burning Bridges, Rock and Roll Music (Rhino voc) / Bye Bye Johnny. Merchandiser: Global Merchandising Services Ltd. Management: Duroc Media Ltd. Manager: Simon Porter. 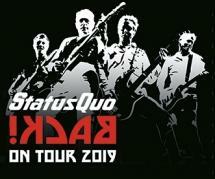 Tour Notes: *Status Quo is very special guest on all dates at Lynyrd Skynyrd's Farewell UK Arena Tour 2019. 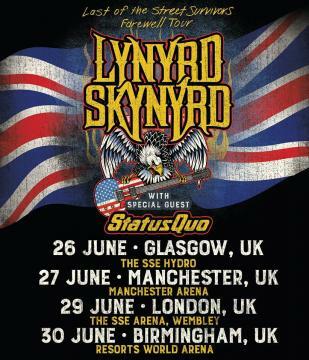 06.11.2018 - STATUS QUO will be Special Guests on Lynyrd Skynyrd's Farewell UK Tour in the summer of 2019. 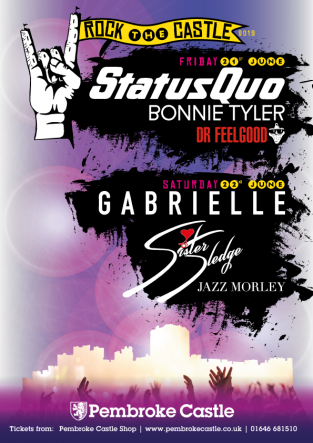 The Band is currently in the midst of their current North American leg of their Last of the Street Survivors Farewell Tour, which continues through to December 2019. 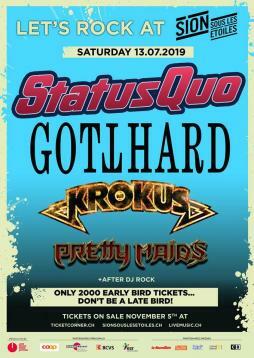 The very special guests at all UK dates on the swansong trek are fellow rock institutions Status Quo.